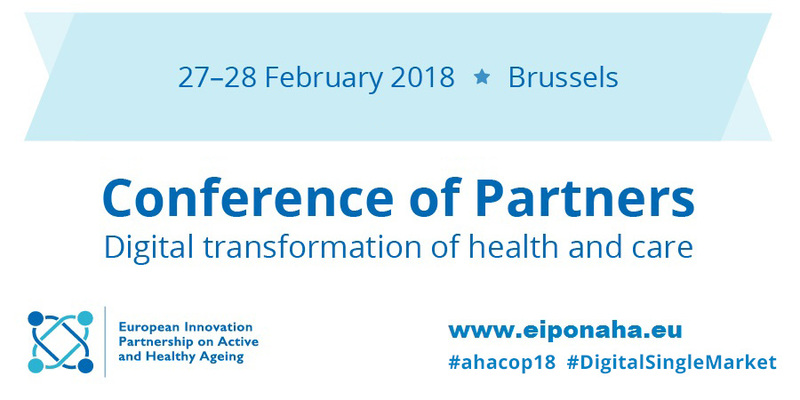 Calling all partners of the European Innovation Partnership on Active and Healthy Ageing (EIPonAHA)! Have you registered for the 2018 Conference of Partners? Don’t miss out! If you are planning to join the EIP on AHA Conference of Partners 2018, don’t miss the session “MAFEIP 2.0: Decision to invest, Decision to buy” on the 28th February. We will showcase the new tool and how it can be used to assess the cost-effectiveness of health and social care interventions and support the EIP on AHA members in their decision-making process. The new website better integrates the existing materials and delivers tailored messages to explain to the different users’ categories how they could benefit from MAFEIP. Based on the feedback received from the users so far, the MAFEIP tool has been improved to increase its flexibility and adaptability to complex interventions and to facilitate its adoption across Europe as an analytical framework. Leveraging on use case experiences, an updated version of the tool has been released introducing new functionalities e.g. the optional inclusion of additional health states, the possibility to specify the patient distribution over the health states, the option to distinguish the one-off costs from annual costs of current care, among others. Come and join the most innovative organisations in the field of active and healthy ageing and help shape the future of health and care in the Digital Single Market. The 2018 Conference of Partners will take place on Tuesday and Wednesday 27-28 th of February 2018, in Brussels. Register now!